When you think of spray paint, you usually think of painting graffiti on the side of a building or spray-painting a piece of furniture, like a coffee table. However, those aren't the only uses for this versatile and affordable type of paint. You can use spray paint for many creative craft ideas, and the paint comes in various colors and finishes to provide different looks and effects. Give boring glass vases and jars a makeover with spray paint. Thrifting for glass is fun, and you may come across some cool vintage pieces with unique shapes or designs that make them stand out. Customize them further with spray paint. Make a super chic table lamp from plastic spoons and tealights. Yes, it may sound like something a Girl Scout could put together, but the overall effect is really pretty, and it's a simple and enjoyable DIY if you're not particularly crafty. Use whatever color spray paint you desire or mix different colors. Colorful magnetic letters get a grown-up makeover with this fun DIY. Everyone loves spelling out things on the fridge, but using bright letters looks like kindergarten. 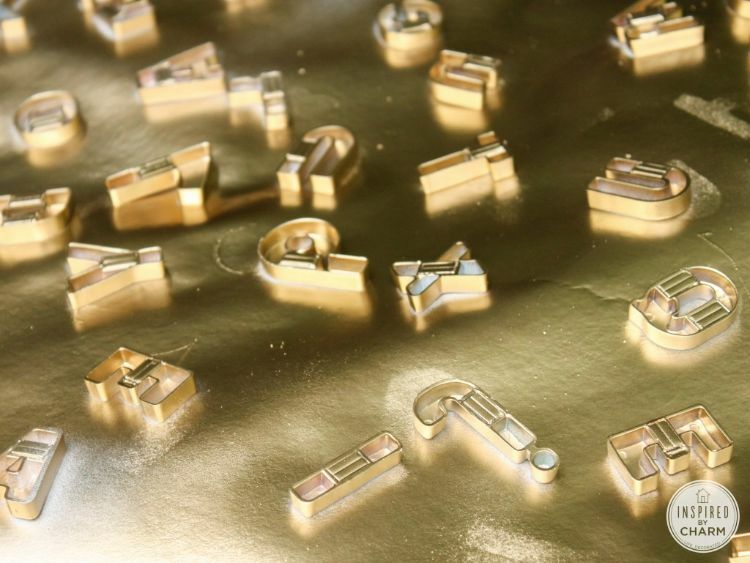 So give letters an upgrade by painting them a gleaming gold and enjoy making words with a classy new look. 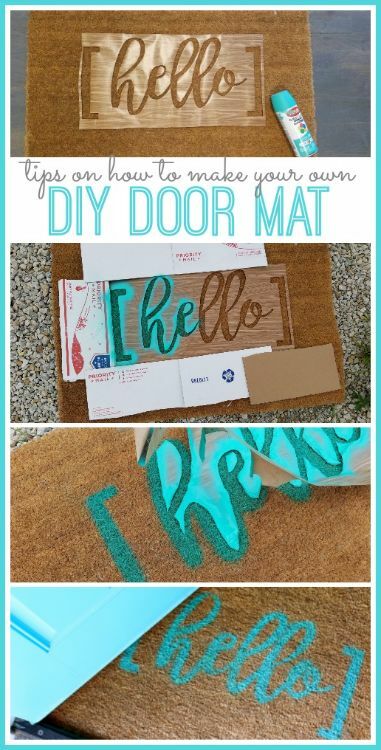 Use stencils and spray paint to simply customize your doormat to say whatever you like. You can also paint designs. The possibilities are endless ... you can create seasonal doormats or mats for friends with only a few basic supplies. 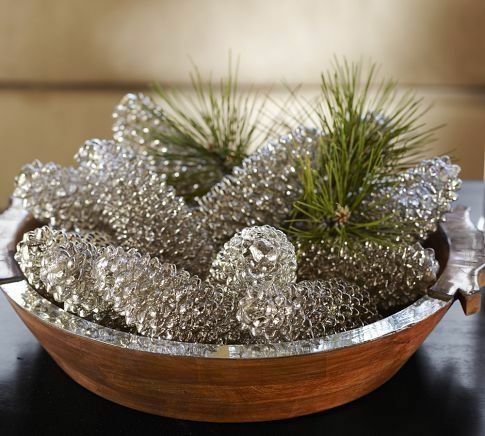 Make pine cones shimmer with spray paint. Load up a bowl of these festive cones for a beautiful holiday meal centerpiece, or use them for Christmas and other seasonal decorations. The possibilities are endless. Turn dollar store plastic bins into expensive-looking creations with a simple coat of spray paint. Give bins a whole new look and use them for any type of storage, making them even more flexible. Painting furniture can seem daunting, especially if you're a beginner, but it's the best way to salvage those antique store pieces you're not sure what to do with. Once you begin, you may find painting furniture fun and somewhat addicting! 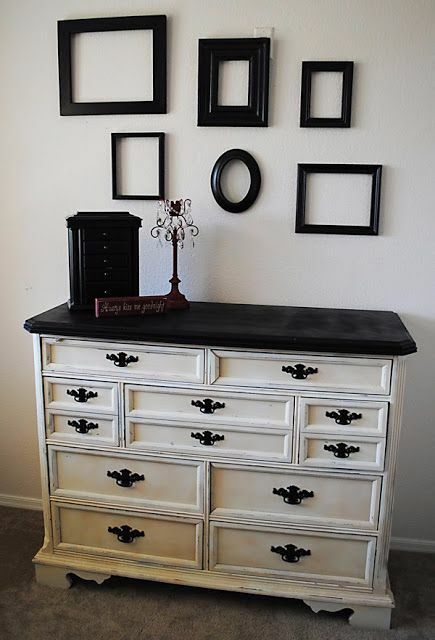 You'll be thrilled with how elegant an old piece can look with a fresh coat of paint. 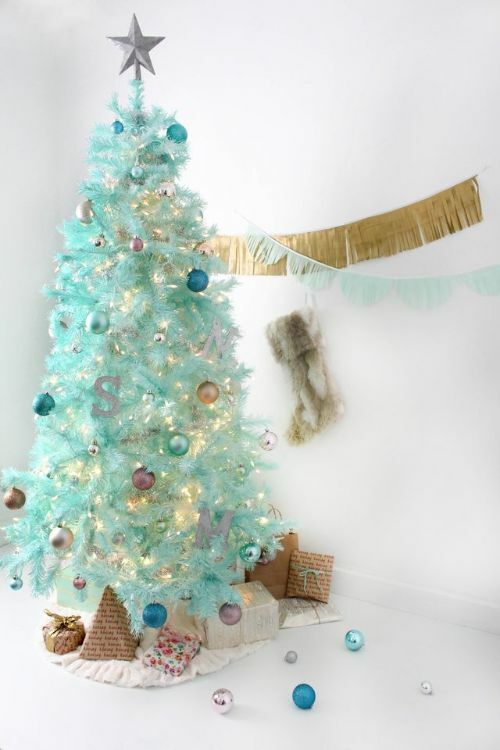 Revamp a Christmas tree and do something different this year. Colored trees are trendy and fun, and you don't have to spend hundreds of dollars buying a tree that's pink, aqua or orange. Instead, paint an existing tree or pick up a cheap white tree to modify instead. The results are stunning. Gleaming autumn and fall decor can cost hundreds, but if you get creative, you can put together the cutest door decorations for mere dollars. 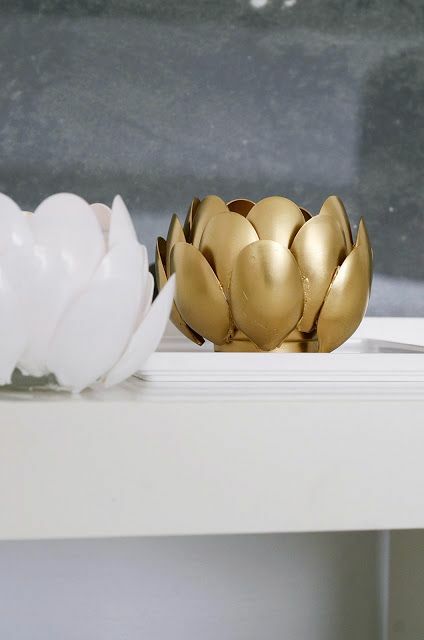 This DIY uses plastic pumpkins, which doesn't sound very exciting until you combine them with gorgeous gold spray paint for one of the coolest DIYs around. Something about chevron just looks updated and chic. 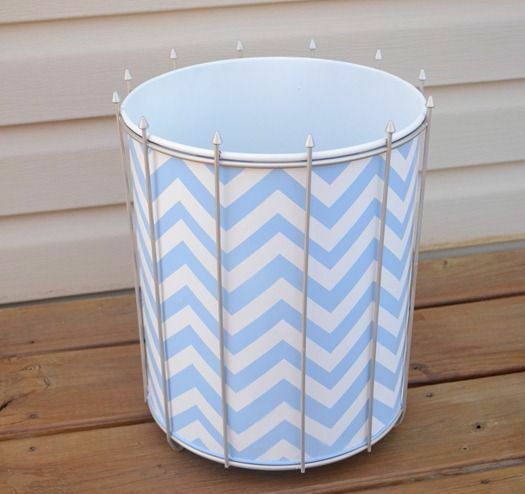 Transform an old or solid-colored trash can into a chic chevron can and create a modern look in any room. Perfect for a bedroom or bathroom, this trash can exudes personality. It may have never occurred to you that you can use spray paint on upholstered and fabric items, but you can instantly make a difference in many types of pieces, including pillows. 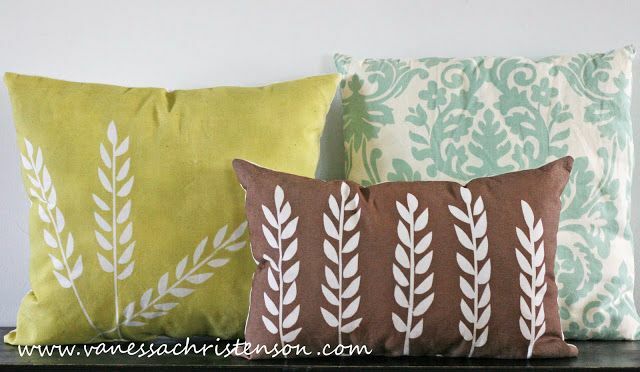 These pleasing pillows look like high-end home decor, but you can make them yourself for much less. 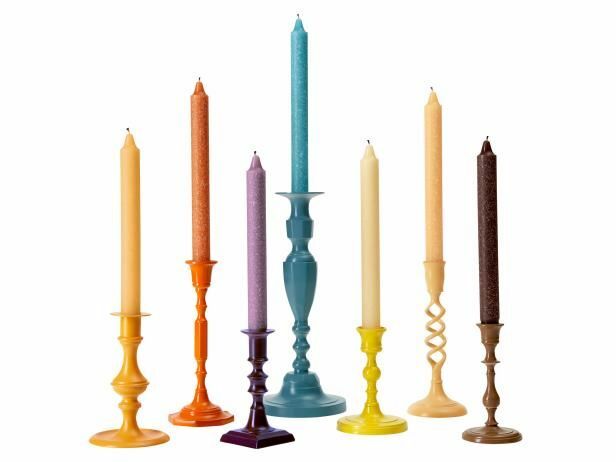 Cheap candlesticks turn into works of art with rainbow shades of spray paint. 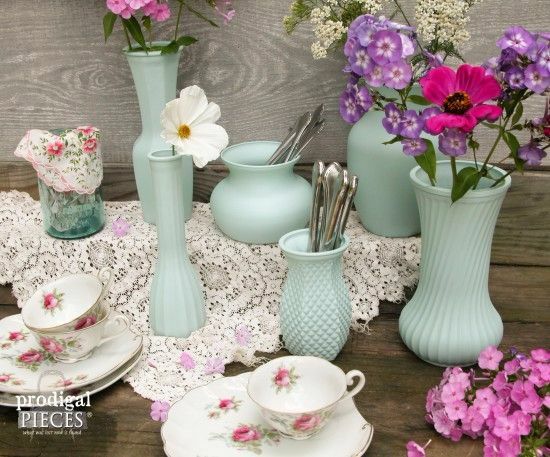 These make eye-catching centerpieces and table accents, especially when paired with matching candles.